Carpet features unique qualities like durability, style and comfort that cannot be matched by other flooring options, making it a popular choice among homeowners. 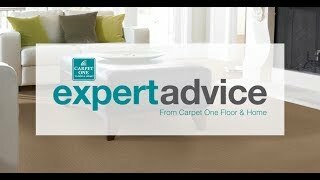 We are your local carpet experts at World of Carpet One Floor & Home in Santa Rosa, CA and we are here to make your carpet buying experience as stress free as possible. We use a unique system to help you find the perfect carpet flooring for your home. Our unique selling system narrows down the type of carpet you need based on your lifestyle and warranty level you want. If you have pets in your home, or frequently entertain guests, carpet flooring that features stain resistance is the right choice for you. Carpet is still a popular flooring option today because of its unmatched comfort and wide range of styles. Transform rooms in your home into relaxing and comfortable spaces with a new carpet. We can help you find a carpet that suits your home and lifestyle. Carpets are more durable than you think and can handle places around your home with heavy traffic like hallways, stairs, and even living rooms. You can turn a space like a bedroom into a personal, cozy private retreat in your home. You should always avoid installing carpet in bathrooms or kitchens to avoid any unwanted damage caused by moisture for every day messes. When it comes to choosing a new carpet, you will want something that is meant for your lifestyle and suits your personal taste. In most residential settings, berber carpet is popular because it does well to combine style and performance. Frieze carpet is durable and great for areas that are used often. If you are looking for premium luxury and softness, then a shag carpet is a good option. Carpets are made to be stain, wear and fade resistant. Carpets with stain resistance are built to handle everyday life, and are great for households that frequently entertain. There are also special types of carpets that are waterproof. A waterproof carpet is great for families who have multiple pets or children, and are ideal for finished basements. World of Carpet One Floor & Home is your local source for all flooring types! Because of our membership with the Carpet One Floor & Home cooperative, we have the ability to compete with the big box stores and bring you quality flooring at exceptional values. As part of our carpet selection, we offer Carpet One Floor & Home exclusives such as Lees, Tigressá, and Innovia. In addition to our Carpet One exclusives, we have popular brands such as Karastan. Any new flooring is a major investment, so you don’t want to go changing it as often as the seasons change. Follow the link below to learn about tried-and-true carpet trends that will be sticking around for years to come. As your local Carpet One Floor & Home, we carry several of our exclusive brands for you to choose from. Each type of carpet is backed by our award winning warranties, and we can promise there is a carpet to suit your lifestyle. Cleaning your carpets can be easier than you think. Although we recommend a professional cleaning every so often, the link below will provide you with some tips on how to keep your carpet clean in-between.